There’s not much more we can say about February besides the fact that it was a pretty crap month. Maraia spent much of the month sick with the flu, while Sebastian spent that time trying not to catch it from her. Between illness and the Olympics, we read (and watched) much less than usual, and most of what we did read wasn’t anything spectacular. We’re looking forward to starting over in March! It took us a whopping six weeks for us to finish this audiobook, despite the fact that it was our most anticipated audiobook of last year. Unfortunately, listening to the book so sporadically made the book feel as if it were dragging on and on. Although it’s our least favorite of the three seasons, we still enjoyed it and are sorry to say goodbye to Harmony Bay. Once again, Maraia loved this even more than the first time around. Sebastian enjoyed it as well, fortunately. The book suffers from some pacing issues, but the second half more than makes up for the slower start. The character development, however, is the best part about this book. This was one of our most anticipated books this year (at least for Sebastian) but sadly it couldn’t quite live up to the hype for us. While the idea of a time-travel, body-hopping, murder mystery novel was absolutely fascinating the execution had one big problem in our opinion: the story was almost too complex and we often had the feeling that it was impossible to follow all of the author’s timelines so that you kinda had to believe everything he wrote but couldn’t really reconstruct if it was also logical or if there were mistakes that didn’t add up. This made the book feel a bit unfair to us at times and even though it was addictive we couldn’t help being a bit annoyed by it sometimes. 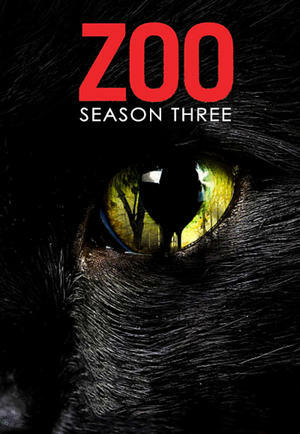 This book has an interesting premise, and we enjoyed listening to it (Sascha Rotermund is a great narrator). Two things stopped it from becoming a 5-star read, however. One, it was VERY hard to keep track of all the characters because the names are so unfamiliar with us, and we could only hear them, not see them. Two, the story evolves quite slowly and without a lot of emotions, which takes away from the suspense. There were surprises, but mostly this feels like a quiet mystery novel rather than a thriller. I’m always a bit reluctant before starting a new Kate Burkholder thriller because somehow I’ve got stuck in my mind that the stories feel a little bit repetitive due to the returning Amish theme but once I actually start a book it’s always hard to put down – so was this one. Writing about crimes in an Amish community might not be that original anymore but Linda Castillo for sure knows how to write a good thriller and I’m already looking forward to the next chapter! This second season of the „Glashaus“ audio drama series had been on my TBR for ages and I already had forgotten most of what had happened in the first season of this cybercrime thriller series. That’s why it was a bit difficult to find back into the story but after a while it got easier. This definitely isn’t my favorite audio drama production by Audible and it didn’t really have me hooked but it was still entertaining and the narrators and sound effects were superb as always. What I found really interesting about this book was that it was a dystopia set in Cologne which is only about an hour from where I live and it was really cool to experience an apocalypse in a place that’s actually familiar to me – well, just a fictional one of course. I really enjoyed this dark futuristic setting but the story itself wasn’t that spectacular. It was still entertaining though but I wasn’t very happy about the rather open ending. This originally started as a buddy read but Maraia realized very early that she didn’t want to waste her precious reading time on that one – and looking back she was probably right to do so. Don’t get me wrong, this book wasn’t really bad and the writing was absolutely okay, the story just felt like every other paranormal ghost hunter story and had absolutely nothing that would make it stand out. I appreciated the humor though even though it was a bit ridiculous at times (like when they tamed the wight with a Snickers?!). This was quite a positive surprise to me even though I already was quite a fan of Paul Cleave’s Christchurch thrillers before starting this book. But I hadn’t heard a lot of good things about this standalone and that’s why I went into this book with zero expectations – which was maybe a good thing. This story had quite an interesting premise with a crime author that is suffering from Alzheimer’s disease and doesn’t know anymore if his stories only came from his imagination or if he himself is a murderer and wrote about his own crimes in his novels and it was both thrilling and sad to follow him trying to recover his memories not knowing what terrible things he might learn about himself. Also this book was narrated by one of my favorite narrators (Martin Keßler, the German voice of Nicholas Cage) who was fantastic as always and perfect for this story. This was recommended to me by Lucille a while ago, but it’s not available at the library, so I hadn’t been able to read it. By lucky chance, I snagged it during a $0.99 sale on Amazon, and I’m so glad I did! It’s a bit overwhelming at first, as there are so many POVs, but I enjoyed all of them. My biggest complaint is that I wanted more. There’s both sexual and racial diversity in the book, and it’s refreshing to see a fantasy that focuses on non-romantic relationships. I can’t wait to see where the story goes next. My friend Alyssa recommended this to me after I told her about a Beauty and the Beast retelling written by one of my favorite authors, and since one of the genre’s for the Colour Me Read Challenge was romance, I decided to give it a try. Unfortunately, I didn’t love it. There was nothing wrong with it, and it’s certainly much better than other Beauty and the Beast retellings I’ve read, but in the end I just don’t like retellings very much. THIS BOOK. I’ve loved all of Katrina Leno’s books so far and the way she writes such real, relatable characters, but this one blew me away. I went in expecting a coming-of-age story with great diverse representation and a magical realism twist, but it’s so much more than that. Katrina Leno uses this book to send a powerful and important message to her readers, and I love her even more for it. I don’t want to give too much away, but I highly recommend discovering Katrina Leno’s magic for yourself. The year may just have started, but I already know this will remain one of my favorites. This book wasn’t even on my radar a month go, but when Cait tells me I HAVE to read a book, I usually listen, and I’m usually glad I did so. This book was no exception. It had a lot of weird in it but an equal amount of heart. I ached for the characters, and I just wanted everything to work out. My problem with the book, however, is that the relationship (yes, the same one I loved) is actually extremely unhealthy, and even in the end, I’m not sure the characters actually learned from their mistakes. As an adult, I can recognize the problematic parts, but I worry a bit about the intended teenage audience. This book had its ups and downs. I loved the first 10%, but the next part was page after page of character introductions that dragged on far too long. Once the death toll started rising, however, I was hooked again. Unfortunately, there were too many characters to really care about anyone, which meant that the deaths were more comical than sad. I also found the ending to be a bit anti-climatic after all the buildup. Still, I enjoyed this overall and it definitely creeped me out more than most horror novels. Maybe because it felt so real! I can’t believe this trilogy is already over. I enjoyed the third book more than the first but not as much as the third. I was kind of expecting this because of something my friend Kaja said, so I was half prepared, but the more I think about it, the more I’m disturbed. I really don’t like what Joe Abercrombie did with some (most) of the characters – characters I’d grown to love and now have to hate if I don’t want to feel like a terrible person. I didn’t know a single thing about this book before starting it, aside from the fact that my friend Martine loves it and thought I would as well. She was right! The story is outside of my usual genres, but it was perfect to read while recovering from the flu. Christopher, the main character, is an autistic boy, and the story is told as if he were writing a book about his life. It’s an unusual narration style, and while it’s not one I normally enjoy, in this case it’s authentic and I loved seeing the world through Christopher’s eyes. ONE DAY AT A TIME: Without a doubt, this is one of the best shows out there right now. It isn’t just pure entertainment, it’s entertainment with something to say. Every episode sends a powerful message, and it does so without becoming preachy. 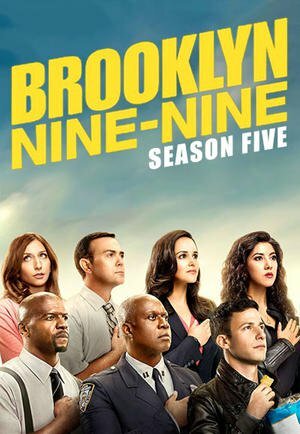 BROOKLYN NINE-NINE: Like One Day at a Time, this show goes beyond pure commentary and strives to bring diversity and awareness to mainstream television. 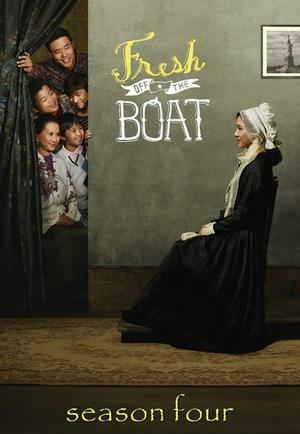 FRESH OFF THE BOAT: This season makes it quite a challenge to still like Emory and Evan because they’re so competitive in a very annoying way but besides those scenes we still love to watch the Huang family during their daily struggles and don’t think we’ll grow tired of this show anytime soon. How did you spend February? Do you enjoy the cold and dark winter days or are you looking forward to spring already? Ahh Summer of Salt!! ? I can’t wait and I had zero doubts it’d be amazing, but I’m still so so glad it lived up to the last books! Also omg I’m really honoured you like my recs, Maraia. Hehe. (Agreed about the negative of the book. I still loved it a lot though haha.) I also feel the need to reread The Curious Dog now…it’s been SO long. Thanks, Cait!! We’re excited to have something new. Oh wow, you have so much ahead of you! I’m actually kind of jealous, haha. We’re unfortunately caught up. I’d actually blocked Holt’s being gone from my memory. I feel like it’s not JUST dumb, though. It also has things to say and calls out racism and sexism quite often. I still feel terrible that I read it without you. ? I’ve been seeing The Seven Deaths of Evelyn Hardcastle and I was super curious. I’m sorry it didn’t live up to your expectations. I’ll probably leave it for now and maybe see what others think. If you do give it a try, lowering your expectations might help. I think that was part of our problem! Which one did you read? I much prefer her books under the name Seanan McGuire, but I’m glad I read Into the Drowning Deep.I really hope you like it! I hope February will be better for all of us. <3 You make City of Strife seem very interesting Maraia. I still have to start The Mad Ship. Boo on me. I really hope so, Annemieke! I hope you like City of Strife if you read it. And don’t worry, you’ll have April to catch up on the readalong. ? I’m so sad you didn’t enjoy Beauty. It’s one of my favorite retellings. I really don’t read too many retellings these days, but I do enjoy them when I do. Brooklyn Nine-Nine is one of my favorite shows. It’s the way I watch when I just need something to pick me up. Hope you have a wonderful March! I’m sad, too! 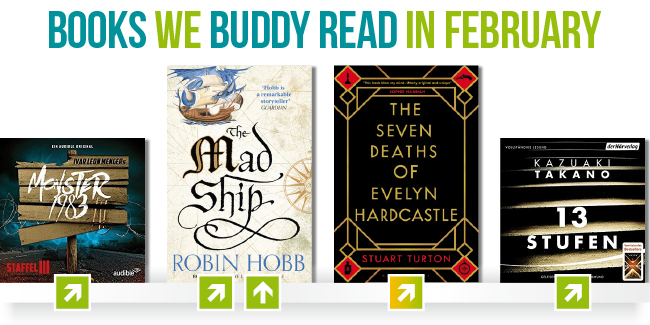 I think I’ll stick to Juliet Marillier’s retellings, haha. If you like B99, I definitely think you’ll enjoy One Day at a Time! Is it? I hope you’ll give it a try. It’s very short, so it won’t take long. I really need to get back into watching Brooklyn Nine-Nine! I’m hoping the latest series comes to Netflix soon. 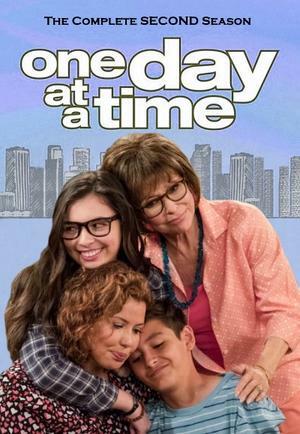 I’ve just realised that One Day at a Time is on Netflix, so I’ve added it to our to-watch list! I hope you’re feeling much better now, by the way. Interesting thoughts on Into the Drowning Deep too. I agree that character deaths mean nothing when I don’t feel attached to the characters, haha. Where did you leave off? I think One Day at a Time is actually a Netflix show, haha. I hope you and your sister like it! The only characters whose death I mourned were animals. ? ‚Sebastian enjoyed it as well, fortunately’… this got me thinking about the fate that awaited him if he didn’t XD And I must check out the Wicker King! I also need to finish Brooklyn 99, I got halfway through the fourth season then my netflix subscription expired *cries* How do you listen to audiobooks together? I had a very busy and overwhelming yet good Febrary. Now I have to get used to actually studying and using my brain and not being over committed …. Haha, I just mean fortunately for him because that’s a lot of page to not enjoy. ? Gaah, I hope you can find somewhere else to watch B99. I’m really enjoying this season. We listen to an audiobook whenever we work on a jigsaw puzzle, which works well. Otherwise we can listen to the same book separately and try to keep at about the same pace. Sebastian always listens to about 1.5 hours, so I try to match that. Are you the type to sign up for every activity? I hope you have a a great first semester! Oh I’ll be lowering my expectations for The Seven Deaths of Evelyn Hardcastle, sorry it didn’t live up to the hype! Sounds like a cool read anyway though! The Curious Incident of the Dog used to be one of my favourite book when I was a kid! My copy is so battered! I've seen on twitter that the autistic community doesn't love the rep on that book so I'm a bit anxious to read it again now:( I'll have to get on this someday to see how my views have evolved or not! I’m really curious to know what you think! I hope so! Fingers crossed. Hmm, interesting. The one person from the autistic community I know personally gave it 5 stars, but she also read it 5 years ago. I definitely wondered a bit while I was reading it.